Photochromic (cat. 1 to 3). Adapts to light levels at any time of day. Recommended for trail running and mountain biking. Photochromic (cat. 2 to 4) with fast activation speed, ideal for the mountains: mountaineering, skiing, trail running and climbing. Photochromic (cat. 2 to 4) and polarized. Suitable for all watersports whether conditions are cloudy or bright. Photochromic (cat. 2 to 4) and polarized. Adapts to changing light levels. Ideal for mountaineering, trekking and skiing. 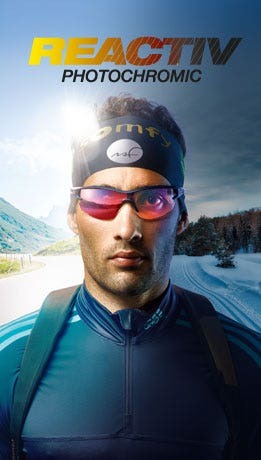 Designed for dedicated athletes on all types of terrain in all weathers, REACTIV photochromic technology immediately adapts lenses to the prevailing light conditions for ultra-accurate vision, whatever the weather. More than 10 years of development and experimentation in the most demanding sports make REACTIV lenses the best photochromic reference on the market. 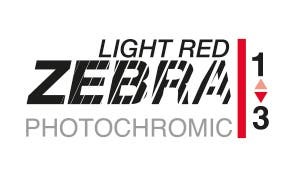 Manufactured using casting technology, they benefit from photochromic treatment throughout the body of the lens and come with a lifetime warranty. 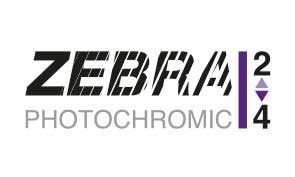 They offer outstanding performance in all technical criteria: reactivity speed, photochromic range, lens color, efficiency of the polarizing filter and special coatings to meet specific needs. 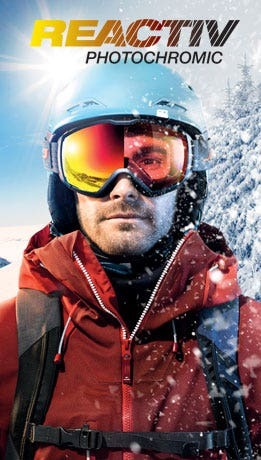 REACTIV market-leading technology has resulted in 5 lenses adapted to different sports, and they can also be used in Rxtrem prescription sunglasses. Optimum qualities for an organic lens while benefiting from a mineral glass manufacturing technique (very low-temperature casting). Its transparency and stability over time are exceptional (no cracking). It is ultra light, unbreakable and solvent-resistant. 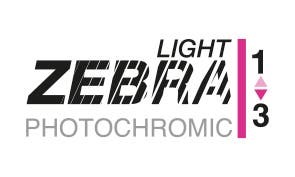 Flash finish > improved filtration of visible light by producing a mirror effect on the lens.